Can you have dental implants in Bromley? You have probably met people who have told you how they were turned down for dental implants. It used to happen quite a lot, but these days, with advances in implant research, dentistry has found ways around a lot of the problems associated with dental implants. 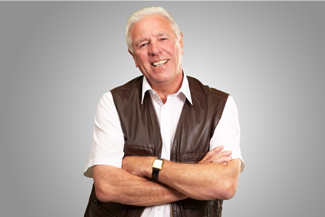 In Bromley, at Bromley Dental Practice, we love telling people that they can have dental implants fitted. The big issue with dental implants is that they have to be able to integrate with your jawbone if they are going to withstand the powerful forces created by chewing. The jawbone starts to deteriorate as soon as there are no tooth roots in it to send vibrations down from impacting on other teeth. The vibrations tell the jawbone it is still in use and when they stop, the jawbone interprets this as meaning there’s no chewing going on. It starts to dissolve itself around that area, it gets smaller and less dense. Putting a dental implant into a resorbed jawbone would be like trying to hang a heavy picture on a screw in a thin plasterboard wall. It won’t last long. These days, we can give you a bone graft by adding in bone tissue taken from elsewhere in your body, or from another source. We put this into your jawbone before implant surgery, and give it a good few weeks to bed down. Then we can add in your implants. Another way to do this is to put bone material into the enlarged sinus cavity of your upper jaw. All this adds time to your implant treatment, but it will be worth it in the end. We can circumvent bone grafting in the upper jaw by using extra-long implants that go through your jawbone and anchor into your cheekbone. If you want dental implants in Bromley, the best thing to do is to get on the case as soon as you have lost or know you are going to lose your teeth. If you are a smoker, stop smoking. If you have diabetes, get it under control. This entry was posted in Dental Implants on 15th November, 2018 by Bromley Dental Practice.